November is the spring ‘shoulder’ season in Zambia when many lodges offer reduced rates or close completely, mostly on account of the unpredictable weather. Nobody knows exactly when the rains will begin, but they usually start in the north of Zambia first, then slowly move south over the course of the month. Lodges with fly-in access are more likely to stay open, but even some of these shut down for the wet season. As soon as the rains set in most dirt roads become impassable and lodges replying on road transfers generally close by mid-November at the latest. Before the first rains fall it stays extremely hot across the county, with temperatures hovering around 40°C. The afternoon thunderstorms bring welcome relief, but you can still expect daily highs between 30°C and 35°C. Gradually the spring rains revitalise the land – the baobabs begin to flower and fresh leaves bud on the mopane trees. By the end of the month new-born calves and lambs appear, and migrant birds arrive back in numbers, sporting their bright breeding plumage. In Zambia, November is perhaps best known for its two great wildlife extravaganzas. In the far west, Liuwa Plain National Park hosts Africa’s second largest wildebeest migration as up to 40000 blue wildebeest move south in search of fresh grazing. The exact timing depends on when the rains begin further north, but it’s usually sometime in mid to late November. Then to the east, in Kasanka National Park, November is the best month to witness the annual fruit bat migration. Billed ‘Africa’s greatest mammal migration,’ an estimated 10 million bats take to the evening skies from late October to early December, an incredible swarming mass of bodies – each with wingspans of over half a metre. Both of these amazing spectacles can be experienced on self-drive or guided/fly-in safaris. Neither are easy to reach by road however, and road conditions deteriorate rapidly from the end of the month. November is a risky month to self-drive anywhere in Zambia. And those driving to Liuwa Plain in particular should ideally travel in convoy. 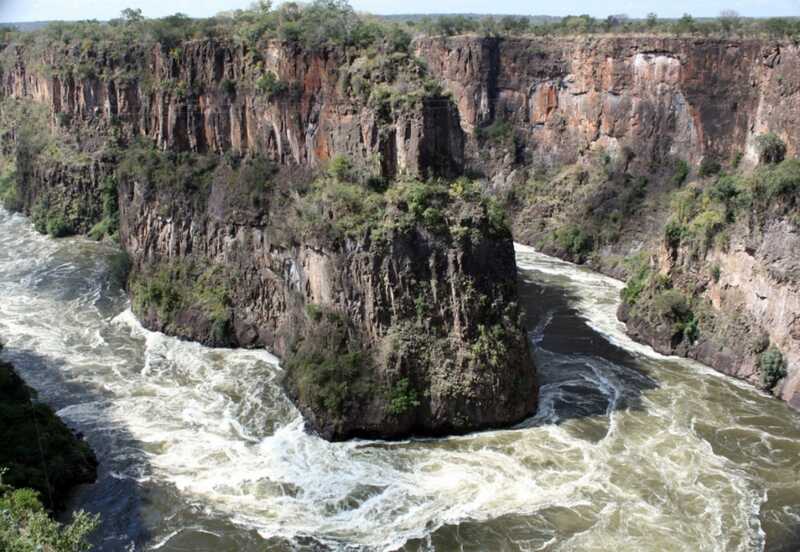 Visitors to Victoria Falls may be disappointed in November. The white-water rafting is excellent, but except for a trickle on the Zimbabwean side, there may be no flow at all over the falls. This is a good time to explore the top of the falls, with guided walks to Livingstone Island and swimming in the Devil’s Pool. Below the falls, the cliffs of Batoka Gorge are exposed and breath-taking, but there’s none of the pounding, mighty roar, and the drenching mists of March, April and May.